Quartz rocks. You may have seen them, up on the hillsides and below your shoes, during your walkabouts in and around the area you call home. But what is quartz, really? I mean, if it looks like a rock, acts like a rock, and rocks when you bump it with your toe, it stands to reason that what you have discovered is likely to be a rock, and not—as your inscrutable neighbor would have you believe—a source of Great Power during times of economic uncertainty. Having spent considerable time and effort investigating similar phenomena, I found it excruciatingly easy to make the leap to quartz, and thence to other types of rock that refused to support my weight no matter how much I sniffed and dabbed at my eye. If there's one thing I learned from sandstone, it's that. Another thing I learned is that common household appliances can be pressed into service for all manner of scientific experimentation, but that doesn't necessarily mean the manufacturer will honor the warranty. 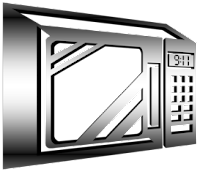 What it does mean is that the 2.4 GHz frequency your microwave oven uses to warm leftovers is the same frequency used by your wireless router to contact the suspicious object hovering above your cottage. Cheese, too, can be converted to its liquid form using either of these microwave sources, but quartz is not cheese, at least in the dietary sense. 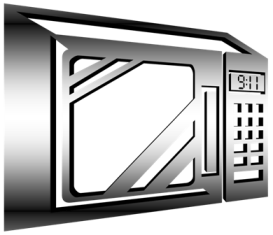 Unlike cheese, quartz oscillates in the presence of electromagnetic frequencies—which often results in humanlike speech—hence my particular interest in kitchen appliances. As you might expect, this brings up the same question I asked in the third sentence, namely, what is quartz, really? I don't know, but I think it may be some sort of rock. Putting a chunk of it in the microwave didn't tell me anything, but that may have more to do with the extreme temperature of the fragment I held up to my ear after the explosion. On the other hand, incommunicado quartz is mysterious quartz. Dumb as a rock? I wonder. Thanks to my father who shared with me concerning this blog, this website is truly remarkable. I'm now not sure where you are getting your info, but great topic. I needs to spend some time studying much more or figuring out more. Thanks for magnificent information I was searching for this information for my mission. discussed in this article? I'd really love to be a part of online community where I can get comments from other knowledgeable individuals that share the same interest. If you have any suggestions, please let me know. Thank you! I've joined your rss feed and look forward to seeking more of your fantastic post. Also, I've shared your web site in my social networks! Definitely consider that that you stated. Your favourite reason appeared to be at the net the easiest factor to remember of. upon this site. Reading this info So i'm glad to exhibit that I have an incredibly just right uncanny feeling I found out exactly what I needed. I so much definitely will make sure to do not disregard this website and provides it a glance regularly. Good day very cool web site!! Guy .. Beautiful .. Superb .
. I'll bookmark your blog and take the feeds additionally? I am glad to search out numerous helpful information right here within the publish, we'd like work out extra strategies in this regard, thank you for sharing. It's in fact very difficult in this full of activity life to listen news on Television, therefore I just use internet for that reason, and get the latest news. me. Nonetheless, I'm definitely happy I found it and I'll be book-marking and checking back often! This submit truly made my day. You cann't imagine simply how so much time I had spent for this info! Thank you!